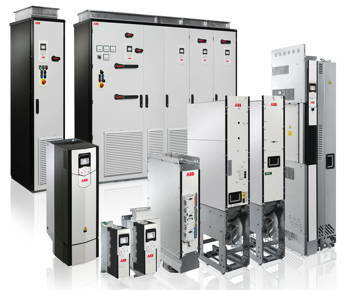 ABB is continuing to expand its ACS880 family of drives which made their debut in 2011. It unveiled several new developments unveiled at the recent Hannover Fair. • A 690V version of the ACS880 wall-mounted drive with optional IP65 protection. In addition, the power range of cabinet-built single drives is being extended up to 560kW, covering voltages from 400–500V. • An IGBT supply unit (ISU) for ACS880 multidrives and multidrive modules. This covers the power range from 300–630kVA and provides regenerative functions for cabinet-built drives. It is said to give the same firm but gentle performance in power control, as ABB's DTC (Direct Torque Control) gives in motor control. • A single drive module in power ratings from 200–560kW and voltages from 400–500V. This module is optimised for easy, cost-effective cabinet assembly, and saves both cabinet and floor space. • A remote monitoring tool (called Neta-21), that provides access to drives via the Internet or local Ethernet networks. It has a built-in Web server, and is compatible with standard Web browsers, allowing users to configure drive parameters, monitor drive data and faults, and track load levels, run times, energy consumption, I/O data and bearing temperatures of motors connected to the drives. • supporting the ProfiSafe protocol, allowing ACS880 drives to be connected to a safety PLC, such as ABB’s AC500-S, using the FSO-11 module. It will be possible to provide safety data from several drives to the PLC, supporting active safe monitoring in an automation system.